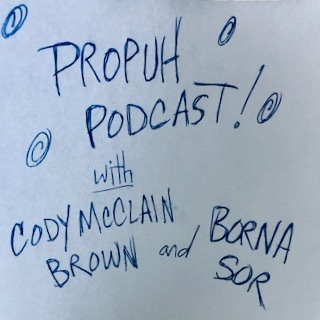 Hello, welcome to the very first episode of Propuh Podcast! Hosted by Borna Sor and Cody McClain Brown. In this episode we discuss the Mueller Report and Croatia’s Mercedes Gate. Then we go deep into the differences between Croatia and America when it comes to political satire (starting at 20:46 if you want to skip ahead). Since Borna is a political satirist you can bet this will be a funny and interesting conversation. This episode was recorded and edited by Daria (the Blaze) Blažević and mixed by mix master Jan Štih.